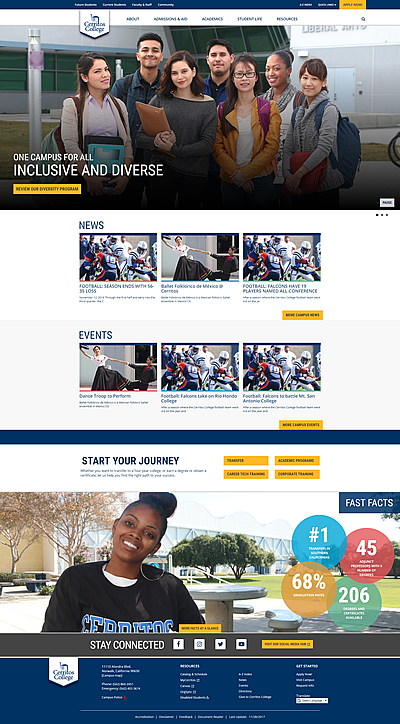 Cerritos Community College wished to revamp their college website on the OmniUpdate Campus10 platform. We provided visual and interface redesign, information architecture strategies, and final markup templates. Our team also compiled requirements for Level AAA of Section 508 accessibility compliance, and continue to maintain the site as needed.